Your Focus: "Caveat Emptor" is an expression worthy of your attention. It means "Let the buyer beware." Pay attention when you buy coins. Deal with facts not fiction. Search for good value in the coins you buy. The basis of a successful coin purchase probably has more to do with what you know than whatever hard-nosed negotiating skills you may possess. The profitability of a coin investment may have more to do with patience and recognizing solid fundamental values than how fast you are on your feet trying to catch price swings in the marketplace. What follows are six easy-to-understand but rarely practiced "caveats" that are particularly useful if you have an interest in buying hard-to-find coins. Generally there are no bargains. One exception might be when you are buying a coin from someone who simply doesn't have the knowledge to appreciate what he or she is selling. If you are buying from someone who specializes in the area of concern, it's likely the only way a bargain will surface is if the seller makes a mistake. That can happen, but not very often. Another way to think about this rule is: you are most likely to get exactly what you pay for, nothing more. It is amazing how many collectors spend years buying coins at so-called "bargain" prices only to discover differently when it is time to sell. Unless you already have a good deal of experience buying coins, pay attention to rule number one! Always challenge rare coin facts, especially those offered by the seller. Few people bother to do their homework before buying rare coins. Too readily they accept whatever information the seller offers without asking a single challenging question. How was the information the seller offers without asking a single challenging question. How was the information determined? Does it represent a consensus view of acknowledged experts or is it just the biased view of the seller? Be especially sensitive to coins touted as "finest known," "unique" or something similar. Just because a seller may have more knowledge than yourself in a particular area does not necessarily make that person an expert. Can the claim be substantiated? Would other experts agree? Should "finest known" really be interpreted as "The best I have seen?" There can be an enormous difference between the two. If a coin is really in the "finest known" category, no doubt it should command a special price premium. Before you pay it, do your homework and substantiate it. If you're not qualified, hire an independent consultant to do it for you. Don't make special allowances when grading condition-rare or key date coins. Many collectors and dealers eagerly give lip service to this statement but often fail to practice what they preach when they have such a coin for sale. When grading key date coins such as a 1945 silver dollar, pretend the date is that of the most common date in the series such as a 1962 silver dollar. When grading condition-rare coins, particularly those that are uncirculated and which have an attractive natural tone, do not be fooled by the added appeal of the toning. Grade the coins as if it were brilliant. Look beneath the toning for problems that may be hidden from a cursory inspection. 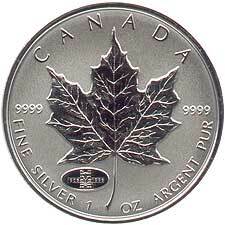 Technically the toning plays no part in the coin's grade. 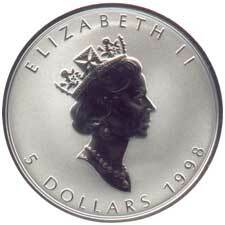 It can however have an influence in pricing the coin but only as an add-on after the grade has been established. The value of a scarce coin is determined by what a willing and knowledgeable buyer will pay a willing and knowledgeable seller. Beyond this there is no such thing as a "right" value. There are times when certain rare coins have no willing buyers, particularly for very expensive coins priced in the many thousands of dollars. This does not mean such a coin will have an unlimited value when it eventually does appear for sale. Rare coins turn over far less frequently than very common "commodity-like" items. Knowledgeable collectors of scarce to rare coins probably make the best long-term investors because of their greater understanding of true coin values. Not only is their specialized knowledge important when ferreting out solid value but it fulfills the first requirement of every investor, that is, to understand what you are investing in. Most investors usually participate in the marketplace during the frenzied times when prices are rising, act on poor information or hype, and are too anxious to turn a quick profit. Long-term collectors buy after prices have stabilized at a bottom when once again solid value is offered, are able to sort out fact from fiction, and have the patience to wait to sell and get what their coin is worth (profit included) even if that wait involves years. The key to the success of the collector as an investor is that during those long years between the buy and sell, the coin is enjoyed for what it is. The pure investor, when stuck with the long waif, doesn't know how to enjoy the investment and often sells prematurely and at a loss. Pay attention to rules number one to five. If you don't understand them, ask for help before you start your coin buying program. As a final thought remember, "Knowledge is King." Make a point of collecting it too! Copyright � 1997 - 2017 Torex� Coin Show & Auctions.